A number of high-profile child abuse cases in Korea has seen the government cave to pressure to address the problem. Two years ago, the Seoul Family Court said that it will require divorcing parents to receive education on the prevention of child abuse, starting in May. It explained that over 40% of abused children were from single-parent or remarried families. The court will soon create the educational guidelines, which will then be distributed to other courts around the nation later this year. It will halt divorce proceedings if the parents don’t take the courses, which will be mandatory whether the divorce is by agreement or by legal action. The courses will teach parents that child abuse is not just physical violence, but also negligence and abusive language—and that it could lead to criminal punishment, or to the removal of custodial rights. Some believe that the education is necessary for all parents in a culture where parental attitudes towards children are harsher than other cultures. In late 2014 the nation passed laws to punish child abusers. Previously, parents mistreating their children was seen largely as a private matter. “Child abuse is no longer a family matter but obviously a social crime,” president Park Geun-hye said in April of that year. 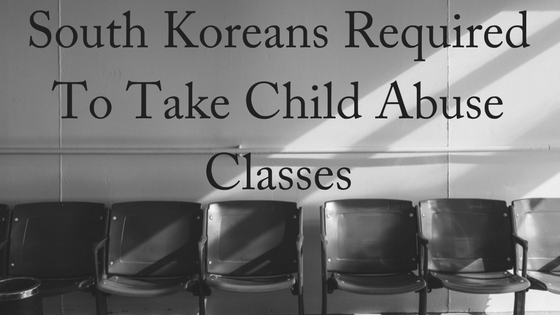 South Korea’s problem with child abuse extends beyond divorced parents. Last year retailers saw a surge in sales of CCTV cameras, after the government announced plans to require all daycare centers to install the devices. Meanwhile China bolstered its child abuse laws in 2015 after a similar string of high-profile cases. The Supreme People’s Court, the Ministry of Civil Affairs, the Ministry of Public Security and several other related departments are working together to establish a legal mechanism that would deprive abusive or negligent parents of their custody rights in the event of such cases. The mainland’s current law on protecting the underage from family abuse is largely in principle and does not include implementation details. While China’s 1991 Child Protection Law, 1987 Civil Law and other relevant bylaws define the deprivation of parental custody, there are no specific provisions on how to implement these laws. It is especially unclear about which department is responsible for caring for children if parental custody is removed, and what precautions should be taken. In 2013, the Ministry of Civil Affairs has set up experimental child protection stations in 20 regions in Jiangsu, Henan and Sichuan provinces, based on existing homeless child protection mechanisms and aiming to build a new system of child protection and family care interventions. 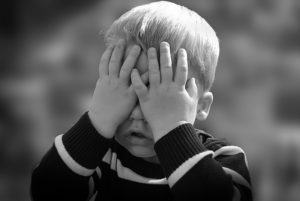 What if you suspect child abuse by your ex-spouse? Don’t Proactively Look For Evidence of Abuse. Watch your child for symptoms of any kind of trouble that may require professional help. Be aware that the symptoms of depression or disgruntlement over the divorce can easily be confused for symptoms of child abuse. Usually, only a professional can tell the difference. Be Informed of the Signs and Symptoms of Child Abuse. It’s a mistake to automatically chalk up changes in your child’s behavior to the divorce. Your child could be the victim of abuse at your ex’s home, at his school or daycare, or even at the hands of neighborhood bullies. Don’t ask leading questions because you can accidentally end up suggesting to the child that there is a problem when maybe one doesn’t exist – or the child will try to please you by providing the answer they think you want to hear. If your child tells you about a problem, stick to the basic facts of who, what, where, and how in your questions, then let the professionals question the child further so that your child is not harmed in the process of gathering evidence. Document Signs of Physical Abuse Immediately. If you see physical signs of abuse such as bruises and other injuries, take the child to the doctor or hospital immediately. Do not bathe the child, as you may accidentally remove evidence, and do not wait until morning. Medical personnel will also report the abuse and speed help for you and your child on many fronts. It is also a good idea to take pictures of the child’s injuries – even if the doctor or the hospital also takes pictures – so you will have your own copy of the abuse if it’s needed later to help prosecute the abuser. We offer a free, 10-minute phone consultation with our friendly and experienced family lawyers. Contact us today!